Every Monday, I take a picture of the Sutro Tower from the same spot on my walk to the Coffee Bar during morning break. 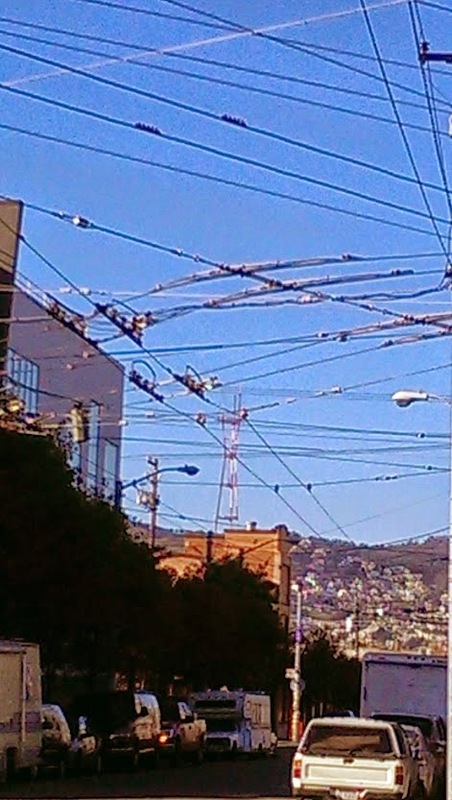 My shop is next the Potrero Muni building, so the sky is pretty much covered with wires and cables until I reach the end of the block. So here's something a bit different, just to shake things up. Because that's how I roll.